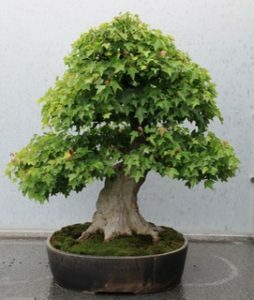 Bonsai is an ancient Asian craft that dates back more than 2,000 years. There are specific cultural practices that are responsible for causing dwarfness in these highly maintained container plants. Bryce Lane will take you on an exciting journey discovering the history, art and science that makes Bonsai such a fascinating hobby. He’ll then instruct each attendee in hands-on learning by creating their very own bonsai plant to take home. Come experience this unique art on Saturday, April 27, 2019 from 9:30AM until 2:30PM. The cost is $65 per person. All materials for the class will be provided, but please bring your lunch. We have refrigerators to store your food and a microwave if needed. If you have any special needs, please contact Rebecca Turk. Instructor: Bryce Lane, Alumni Distinguished Undergraduate Professor Emeritus and Lecturer Emeritus of Horticulture at NC State University. In the past 30+ years, he has taught more than 20,000 students. He has received numerous local, regional, and national teaching awards and is frequently invited to speak at many workshops and symposia about education as well as horticulture and gardening. He hosted and produced the two-time, Emmy winning UNC TV public television show “In the Garden With Bryce Lane” which was on the air for 11 seasons. He is an avid gardener who has gardened in the same place for 32 years!